What is the purpose of the wall mounted plastic bin kit? 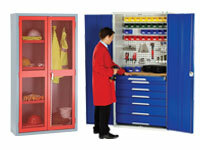 Is your warehouse or garage a disaster area because of all of the items that you have nowhere to store? Is it hard to ever find the tools or items that you need when you need them because of all of the clutter and disorganization? Do you have a workspace in your home that you cannot utilize because it is so messy? If you answered yes to any of these questions, you definitely need to find a way to declutter your space in order to increase your productivity. 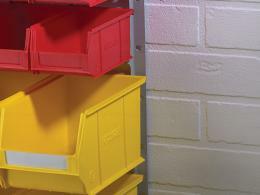 That is why we offer a wall mounted plastic bin kit that makes organizing your space simple and easy. This set of storage items contains products of all different sizes, so that you will be able to store all of your items in a neat and organized fashion. 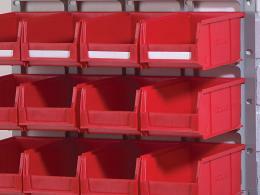 This storage system also makes your items easier to find, since you can see right into all of the bins. 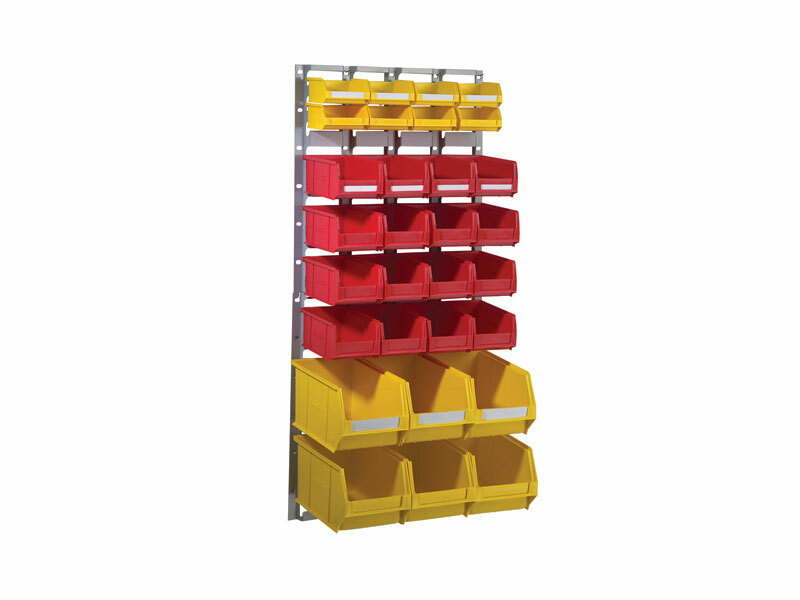 This product is great for use in warehouses, workshops, garages, and any other area where you need to organize tools or other work items in an easy to access and clean manner. Anyone who needs a simple and easy way to organize their tools or other items will love this product. It is great for even the average person, because it is easy to set up and use. No matter what you’re trying to organize, we know that this product will make your life simpler. This set comes with the 2 wall panels that you need for vertical or horizontal mounting. Each of these panels is 457mm(H) x 436mm(W). You will get 8 yellow small containers, 16 medium red containers, and 6 large yellow containers. This item is carefully made with quality products and is durable and easy to use.